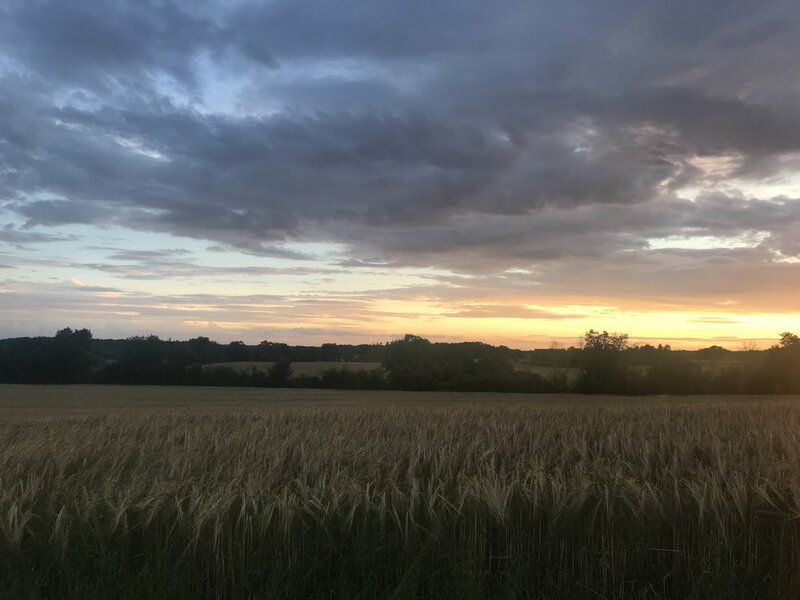 Reflections: CLA France 2018 — Classic Lyric Arts, Inc.
A snapshot of the countryside by the chateau. Life is loud. In the city, working a graduate program, running errands, the daily stuff of life, it is all part of a rhythm. I am thankful for all of it, because the routine is part of happiness and a life as a singer. We are always up and moving, meeting new people, acquainting ourselves with new repertoire, blending backgrounds to make some good music. I was down in Charleston recently for a series of performances during the Piccolo Spoleto Festival. We did a send-out concert at the beautiful Mepkin Abbey, a place rich with musical history. The leading monk there was a career organist and pianist before turning to monastery life. On the way back to our cars, we walked down the pathway lined with live oak trees. One of us commented on how quiet such a life would be. No technology, no connection to the outside world — just the work. Folks go on meditation retreats to have this great escape. A place to reset, a haven. In the life of an artist, we rarely get the chance. When I woke up today, I opened my window out to the Dordogne hills. Other than the birds singing, the occasional distant car driving down the country road, and the voices of the 10-12 singers that have come here to the chateau, it’s just us. There is still the intensity of learning all the new repertoire, but the hassle is gone. Food is provided, we don’t have to go anywhere (only to go for morning jogs next to the cow pastures...) It is a retreat, and there is nothing but the language, the music, and the landscape.